This desk chair is ready for use, in good condition with a nice colour throughout. A good quality slatted back rest with a leather seat pad. 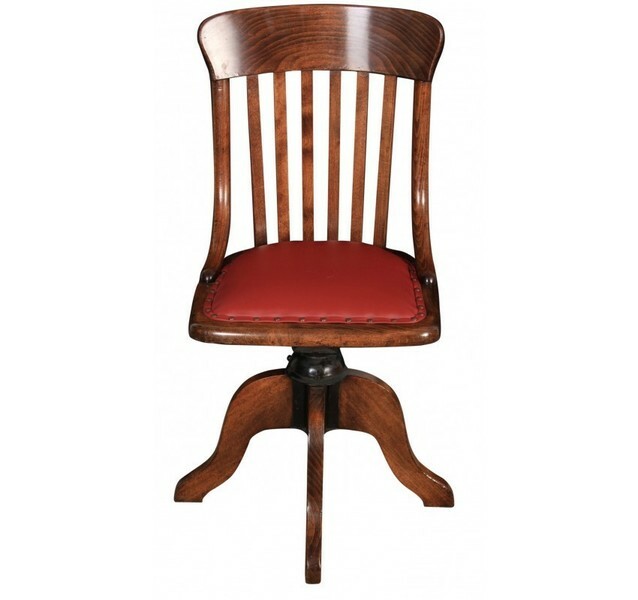 Other: Chair Seat H 47 cm/18.5"